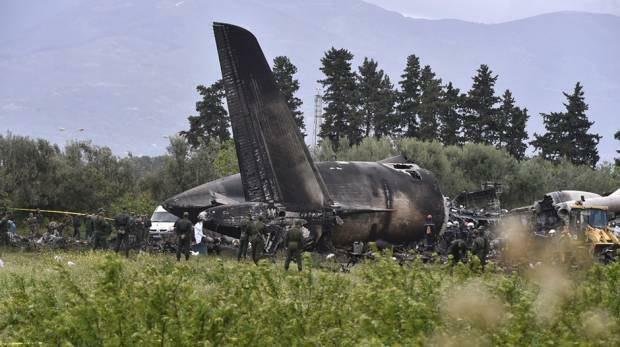 (Reuters): Dozens of firefighters, rescue workers and military officials worked around the blackened fuselage of the aircraft, which had been ripped open near its wings. Earlier TV images showed flames and smoke billowing from the site of the crash, the country’s worst air disaster. “This morning at around 8:00 an Ilyushin model military transport plane ... crashed directly after takeoff in an agricultural field that was clear of residents,” Major General Boualem Madi told state TV. A line of white body bags could be seen on the ground next to the wreck of what media said was a Russian Ilyushin Il-76 transport plane, part of which was still intact. Smoke was still billowing hours after the crash. “After taking off, with the plane at a height of 150 meters I saw the fire on its wing. The pilot avoided crashing on the road when he changed the flight path to the field,” Abd El Karim, a witness, told the private Ennahar TV station. Another witness said: “We saw bodies burned. It is a real disaster”. A total of 257 people were killed, most of them military, the defence ministry said. Ten crew and other people described as family members died, and a number of survivors were being treated at an army hospital, the ministry added. 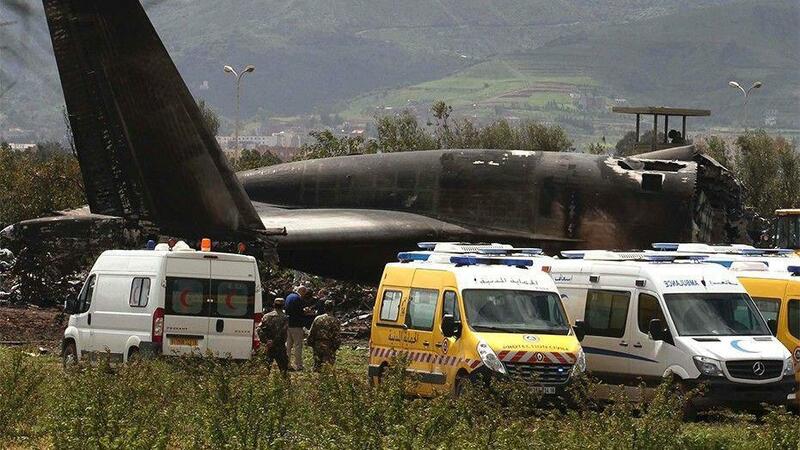 The plane had been heading to Tindouf on the border with Western Sahara, Algeria’s defence ministry said. One young man cried as he spoke to a local TV station about a relative who died in the crash. “We talked on the phone yesterday evening and he promised to call me again on arrival in Tindouf,” he said.